Bring Your Parent To Work Day...In A National Park! Bring Your Parent To Work Day…In A National Park! HomeConnectYellowstone HotspotWorkingBring Your Parent To Work Day…In A National Park! Every season, Yellowstone National Park Lodges hires more than 3,000 seasonal workers. After a summer spent living, working, and exploring in the world’s first national park, many fall in love with the place and the people. They come home in the offseason and tell their friends and family all about their summer adventure. For two of our employees, that was enough to convince their parents to come back the next season and work in the park too! Carolyn Hobbs first accepted a job in Yellowstone in 2017. Her home was in Tennessee so her dad, Chris Hobbs, drove her out to Yellowstone in May and picked her up again in August. When she applied again for the 2018 season, she suggested that, rather than driving back to Tennessee, her dad should just stay and work in the park. Chris couldn’t resist a summer in Yellowstone! So the summer of 2018 found them working together in the Old Faithful area. Chris worked at the Old Faithful Lodge in the food and beverage department while Carolyn worked at the Old Faithful Inn as a hostess. Chris found one of the biggest advantages of being here with a family member was meeting new people. Not only was he able to meet new people on his own, but he also bonded with the friends Carolyn made. They both found it really special to be able to meet and talk to people from all around the world (Malaysia, Taiwan, Poland, Sweden, Germany, Czech Republic, etc.). Chris and Carolyn were able to get their days off synchronized so were able to share many special park experiences together. 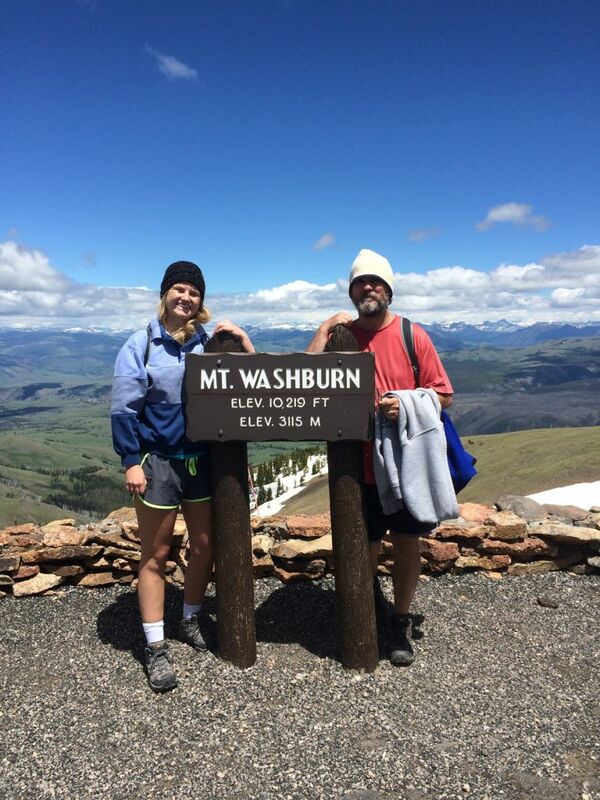 The memories of a summer together in Yellowstone will last forever in the Hobbs family. Chris has some advice to others who are considering coming to work with their child: “Give each other space to do things on their own and with their new friends. Don’t be too demanding and go with the flow. Have fun and do all you can to build wonderful memories and relationships. This will ensure that your time at Yellowstone will be a time of growth for the both of you”. Emily and Carol Beeland are a mother-daughter pair who share a similar story. In their case, it was actually mother Carol who was the one to encourage Emily to work at the park. Growing up, Emily heard from both her parents about how gorgeous and amazing Yellowstone National Park was, and were able to come to the park on a family vacation a few years ago. Emily fell in love with the scenery and the solitude. Her experiences on that trip had her hooked on the park, and she knew that one day she would return. So, when looking for jobs in 2017, she decided to apply to Yellowstone National Park Lodges. Emily spent three months living, working, and exploring in Yellowstone and Carol came to visit her several times. When considering jobs in 2018, Emily jumped at the chance to return to a place that had become home, and Carol decided to take the leap as well. Emily was a host at the Old Faithful Inn while Carol was a guest service agent at Lake Lodge. For Emily, the main advantage of being here with her mom was that she had a family member nearby when she got homesick. For Carol, she loved being able to share the Yellowstone experience with a family member. Throughout the summer, they would take trips to the Tetons, go hiking in the park and explore the gateway towns together. 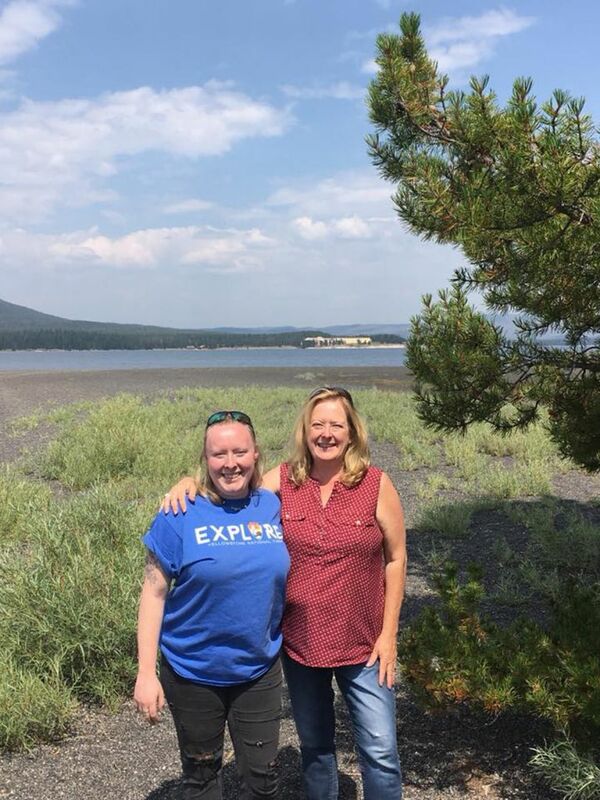 For Carol, having those experiences with her daughter enhanced her discovery of Yellowstone’s magic.